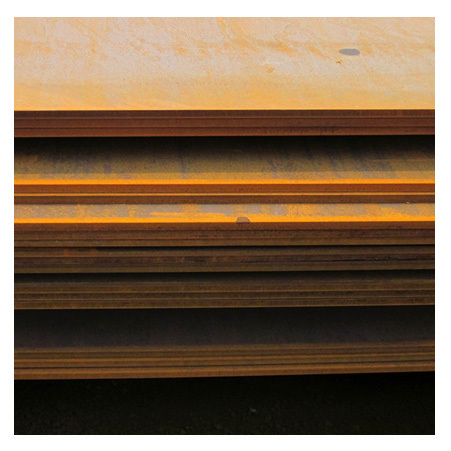 ﻿ ASTM A242 Corten Steel Plates, ASTM A242 Corten Steel Type 1 Plates Exporter. 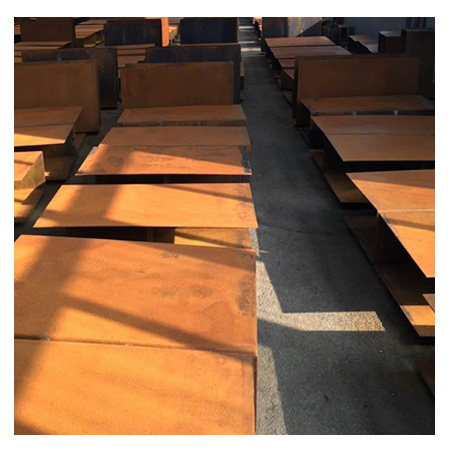 Corten Steel ASTM A242 Plate, A242 Steel Plate Manufacturer, ASTM A242 Type 2 Plate, ASTM A242 Type 1 Steel Plate, ASTM A242 Weathering Steel Plate, Corten Steel Type 1 Abrasion Resistant Steel Plates Stockist, Corten A242 Type 2 Plates Supplier. 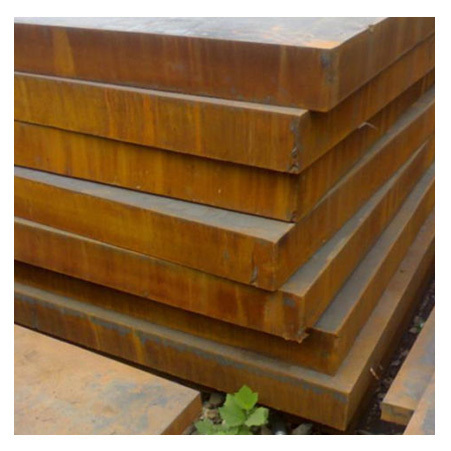 Amco Metals is a renowned manufacturer and exporter of ASTM A242 Corten Steel Plate which are identified for their dimensional accuracy and sturdy construction. Also, our collection of corten plates exceeds the national and international standards of quality and safety. Our presented corten steels are reviewed by our skilled supervisors to ensure its soaring durability. These are available at the most affordable rates and are considered best to use under harsh conditions. These ASTM A242 Type 1 Steel Plate are broadly used in industrial buildings, offshore drilling, rigs, industrials construction railways, multi-story building, road bridge compound manufacture, ports and harbor, and furthermore to outlines stated utilities. The thickness of it is from 2 to 460 mm and the length is from 6000 mm to 12000 mm. it includes different specifications like ASME, ASTM and so on. It comes in different finishes like a hot rolled plate, cold rolled sheet, met with plastic coated and more. The hardness of it is quarter hard, soft, half hard, spring hard, hard and else. It is informal to cold-form which makes it stress-free to tackle. This corten plate is obtained in custom made sizes and lengths. So, all you have to do is place order for it as per your specifications and choices. It has soaring immune to rust and is reachable in personalized specifications, as we outlined earlier. ASTM A242 Corten Steel TYPE 2 Plates walk through certain tests including radiography, flaring test, flattening test, third party inspection etc and these tests ensure its high quality. With this, to keep it away from rusting and damages during transit, it is packed in wooden crates. A242 Structural Steel Plates, ASTM A242 Corten Steel Cold Rolled Plate, ASTM A242 Type 1 Corten Steel Plate, High Tensile ASTM A242 Steel Plates, Corten Steel A242 Corrosion Resistance Steel Plates, Corten A242 Steel Plate Supplier in Mumbai, India. Belgium, South Africa, France, Zimbabwe, Egypt, Mexico, Pakistan, Azerbaijan, Trinidad & Tobago,Tunisia, Chile, Angola, Belarus, Sri Lanka, Afghanistan, Turkey, Hong Kong, United States, Bahrain, Brazil, Jordan, Czech Republic, Indonesia, Denmark, Canada, Taiwan, Iran, Tibet, Nigeria, Croatia, Gambia, Israel, Costa Rica, Ghana, Estonia, Greece, India, Puerto Rico, Hungary, Kenya, Kazakhstan, Poland, Iraq, Yemen, Bolivia, Serbia, Finland, Nepal, Morocco, Ireland, Singapore, Italy, New Zealand, Namibia, Saudi Arabia, Mexico, Qatar, Lebanon, South Korea, Slovakia, Austria, Libya, Japan, Venezuela, Thailand, Philippines, Russia, Portugal, Macau, United Arab Emirates, Malaysia, Spain, Ukraine, Ecuador, Romania, Bangladesh, Switzerland, Colombia, Algeria, Lithuania, Oman, Vietnam, Poland, Netherlands, United Kingdom, Argentina, Sweden, Gabon, Nigeria, China, Kuwait, Bhutan, Germany, Peru, Iran, Australia, Norway, Bulgaria, Chile, Mongolia. Hyderabad, Ahvaz, New Delhi, New York, Sydney, Vadodara, Dubai, Hanoi, Ho Chi Minh City, Navi Mumbai, Howrah, Jaipur, Noida, Dammam, Montreal, Manama, Thiruvananthapuram, Kolkata, Al Khobar, London, Kuwait City, Visakhapatnam, Cairo, Ernakulam, La Victoria, Perth, Port-of-Spain, Dallas, Tehran, Milan, Busan, Ranchi, Bogota, Hong Kong, Caracas, Nashik, Courbevoie, Mumbai, Karachi, Los Angeles, Santiago, Atyrau, Calgary, Chennai, Brisbane, Gurgaon, Chiyoda, Madrid, Colombo, Sharjah, Istanbul, Jeddah, Pune, Bengaluru, Aberdeen, Indore, Rio de Janeiro, Seoul, Secunderabad, Thane, Surat, Doha, Ankara, Baroda, Edmonton, Nagpur, Mexico City, Abu Dhabi, Jakarta, Bangkok, Houston, Riyadh, Toronto, Vung Tau, Lahore, Pimpri-Chinchwad, Muscat, Gimhae-si, Moscow, Granada, Kuala Lumpur, Haryana, Geoje-si, Coimbatore, Kanpur, Jamshedpur, Rajkot, Algiers, Chandigarh, Ulsan, Faridabad, Al Jubail, Ahmedabad, Melbourne, Singapore, Bhopal, Ludhiana, Lagos, Petaling Jaya.